A good-looking styling kit by the US tuning specialist is finally complete. Vivid Racing&apos;s primary goal with the project car was to fit as many Agency Power parts to it as possible, including new wheels and an interior piece. The exterior upgrade is complemented with four pieces of trim. First up, there&apos;s a NR Auto GT2 replica complete decklid, which replaces the stock lid and hydraulic wing. It boasts functioning side air scoops and a gourney wing like the GT2, which improves airflow to the intake box and the requisite downforce for the 540hp it produces. GT2RS style side ducts sans the center splitter gives them a bigger look, which are further enhanced by a 2x2 weave that matches other carbon components. Up front, there&apos;s a set of Agency Power carbon-fiber mirrors in a high gloss finish and a subtle front lip spoiler. The same 2x2 weave wraps snuggly around the bumper and features an Agency Power badge. Inside, a new Agency Power steering wheel has been fitted with a semi-flat bottom and larger ergonomic grips, finished with perforated leather, alcantara and black laquer. 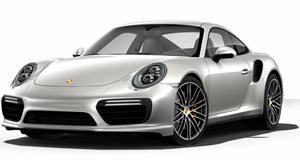 Completing the package is a set of 19-inch 1-piece forged AP Split-5 monoblock alloys, finished in a gloss black powdercoat, which are available for other Porsche cars in a 19-inch fitment and custom colors.